Malaga is located in the south of Spain on the Mediterranean coast in the community of Andalusia. Its province lies between Granada to the east, Cadiz to the west and Cordoba and Seville to the north. It is Spain’s fifth-largest city with a population of around 650,000. Malaga offers an interesting mix of a cosmopolitan business centre and a traditional Andalusian city with a relaxed atmosphere and joyful people. Malaga has a long and interesting history dating back to its founding as a Phoenician town 3000 years ago. Thanks to its strategic position next to the Mediterranean Sea, this province has long been a highly disputed territory; in 550 BC the Carthaginians took control from the Phoenicians and in 218 BC the area was invaded by the Romans. The large Roman theatre located in the centre of the city stands as a testament to this period in the city’s history. The Moorish rule of Southern Spain (which lasted from 700 AD until the Christian reconquest in the late 15th century) also left behind several interesting historical sites – among them the 15th century Gibralfaro castle and the Alcazaba fortress built in the 11th century. Apart from being a popular tourist destination, Malaga is also an important business centre for Southern Spain. The city’s airport and harbour are among the busiest in the country, and the newly built Technology Park and International Congress Centre on the outskirts of the city have attracted large national and international companies to the city. Malaga is also a city rich in culture; apart from the numerous historical monuments that grace its streets and plazas, it is home to some of Spain’s most interesting museums and theatres. 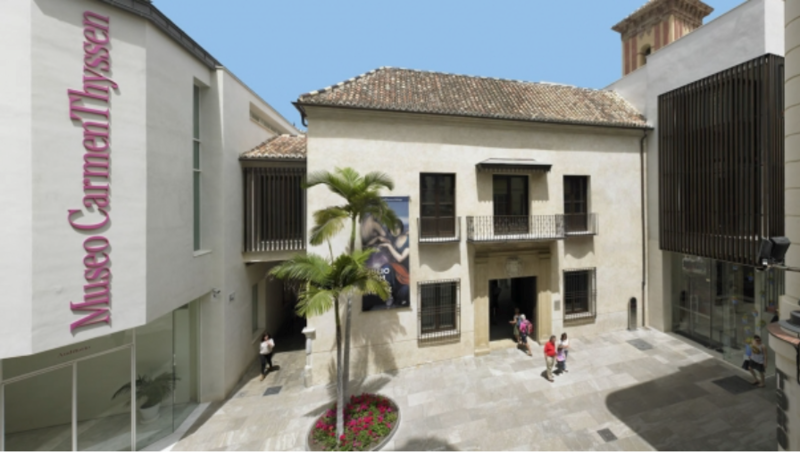 The Picasso Museum is without doubt the most important of these museums and stands as a fitting tribute to Malaga’s most famous native son. 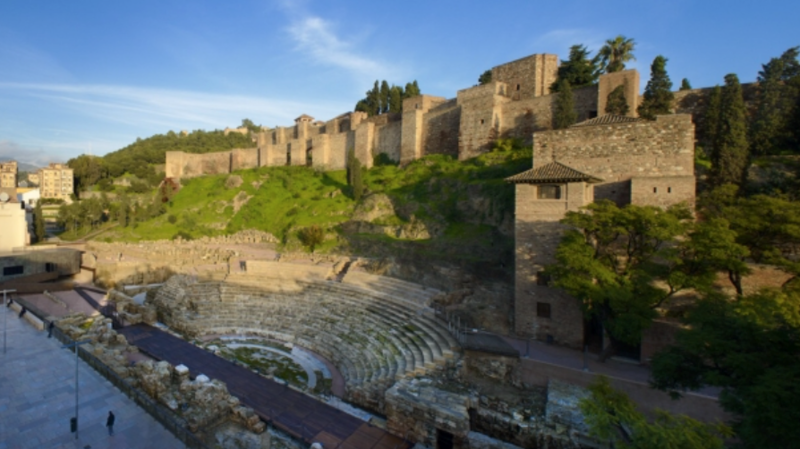 The building, which dates from the Muslim period, is located at the foot of the Gibralfaro hill, crowned by the Arab defence works to which the Alcazaba is connected by a walled passage known as the Coracha. With the Roman Theatre and the Aduana Customs Building, this special corner offers the chance to observe Roman, Arab and Renaissance culture, all within a few yards of each other. It has been restored several times, most recently in the 20th century, and today the building and its important archaeological legacy can be visited. The remains of the Roman walls lined with red stucco were uncovered and small cisterns carved into the rock and used for making garum (the fish paste made by the Romans) were found during the first archaeological dig. There is also a dungeon where Christian slave girls were kept after working during the day. This castle, built in the 14th. 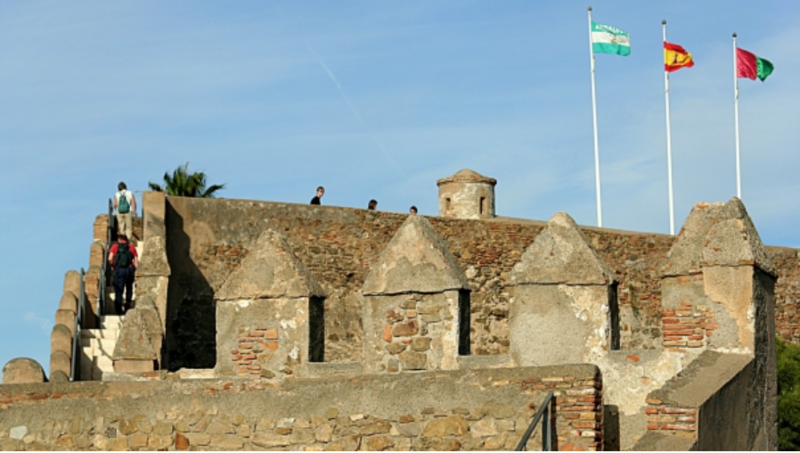 century to house troops and protect the Alcazaba, is today one of the most visited monuments in Málaga. From its walls, visitors have spectacular views of the city and you can visit the Interpretation Centre to discover the site’s history. It was named after a lighthouse at its peak (Jabal-Faruk, the light mountain). Although it was used by the Phoenicians and Romans, in 1340 the Nasrid King Yusuf I turned the place into a fortress. The castle is divided into two parts. The upper part is referred to as the main courtyard and houses the Interpretation Centre where you can discover the history of the castle through the lives of its inhabitants. You will find the Torre Mayor(Main Tower), 17 metres high, the Phoenician well and the baths in this section. The Airón well was dug through solid rock to a depth of 40 meters. The lower part, or courtyard, held the troop barracks and stables. The watchtower or Torre Blanca (White Tower), facing the northeast , is one of the most visible ones and inside you will find a water tank, auxiliary buildings and storerooms. Its full name is Nuestra Señora de la Encarnación (Our Lady of Incarnation) although in Malaga it is simply known as “the Cathedral”. Cathedrals are important in all cities, but here in Malaga it is even more important than usual. It is not only a religious building but a landmark, a national landmark, a milestone along the road and a witness to many events. Its foundations were laid around 1530 and work ended in the 17th century, although it is still unfinished and lacks coping on the main façade and the south tower. The missing tower has led to it being popularly known as La Manquita (one-armed) and legend says that the money allocated for its completion in the 19th century was sent to pay for the wars in America, although there is evidence that the money actually went to fund emergency public works in the province. With three naves with ambulatories, it is in some ways an evolution of Gothic art. 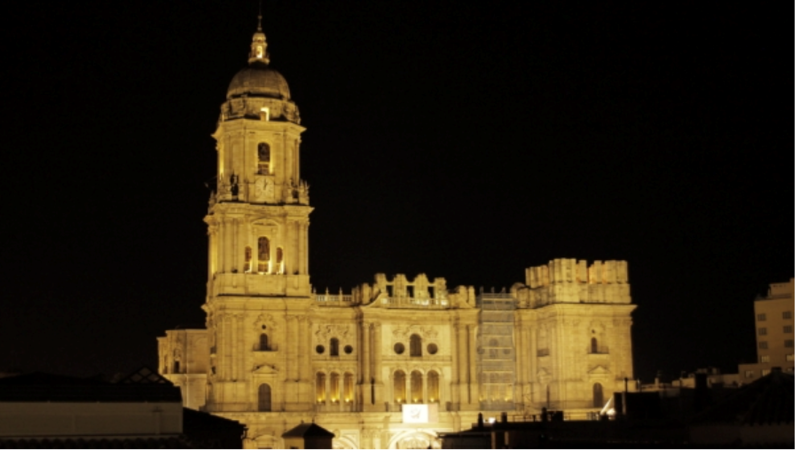 This style initially welcomed the new Renaissance ideas, building all the naves to the same height with ribbed vaults forming the characteristic cupolas that can be seen from above, for example, when you observe the cathedral from the Málaga Palacio hotel. The façades of the cathedral are known as “de las Cadenas” or “of the Chains” and face the Zea-Salvatierra Palace with its gardens and courtyard of orange trees. The main façade, is referred to as the Plaza del Obispo (Bishop’s Square) and also, although it is not physically part of the Cathedral, as the Tabernacle façade. 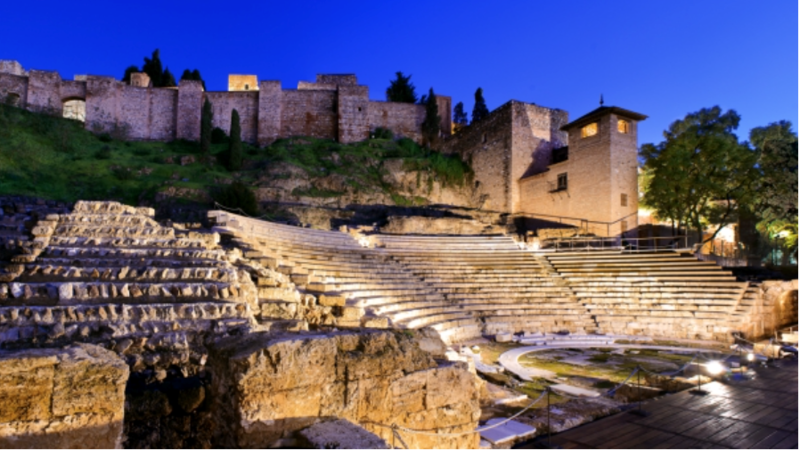 Malaga’s Roman theatre is one of the remaining symbols of Roman Hispania in the city. In addition to the theatre itself, it has a modern interpretation centre where new technologies present the life and customs of the time. The theatre has also been returned to its original use and different types of shows take place inside. Discovered in 1951, it lay half-hidden for many years by the Casa de la Cultura (Culture House) building, built between 1940 and 1942 and renovated in the 1960s. It was during these works when the first signs of the theatre were discovered and the Casa de Cultura was demolished to uncover and properly assess this theatre, which came to be a part of the cultural programmes of 1992. Excavations began by uncovering the Proescenium, that is, the stage, remnants of the Orchestra, the place reserved for senators, and the Cavea. These stands have a 31-metre radius and reach a height of 16 metres; there are 13 raised rows of seats and the entrances passageways, which are referred to as the Vomitorium. Built in the time of Augustus in the 1st century AD, it was in use until the 3rd century. Much of its construction material such as its stones, columns and carved stones were later used to build the Alcazaba. The Interpretation Centre is decorated on the outside with original fragments of the Lex Flavia Malacitana (municipal code of law, which granted free-born persons the privileges of Roman citizenship), recovered in the excavations. The Buenavista Palace houses a permanent collection showing eight decades of work by Pablo Picasso, who was born in Málaga in 1881. The collection conveys the rigor and creativity of an artist who is essential to understand the history of Western art. Further, temporary exhibitions delve into the artistic context, while the program of activities proposes many ways to enjoy the arts. The collection features 233 works that cover 80 years of the painter’s work, from 1892 to 1972. In its 11 rooms, you can see how Picasso breaks with convention and breaks new creative ground. He is considered the most important artist of the 20th century. He was also a very versatile creator, as proved by works in several disciplines. The Museo Picasso Málaga, which opened in October 2003, is set in this Renaissance building with Mudejar elements, with other architecturally modern buildings completing the installations. In the centre we find the Fig Tree Patio, presided over by this beautiful fruit tree, leading to the library, shop and auditorium. The centre invites all to feel the experience of the Centre Pompidou through its rich collection, its excellent open times, the mutual colaboration of artistic disciplines and its innovative educational programs. 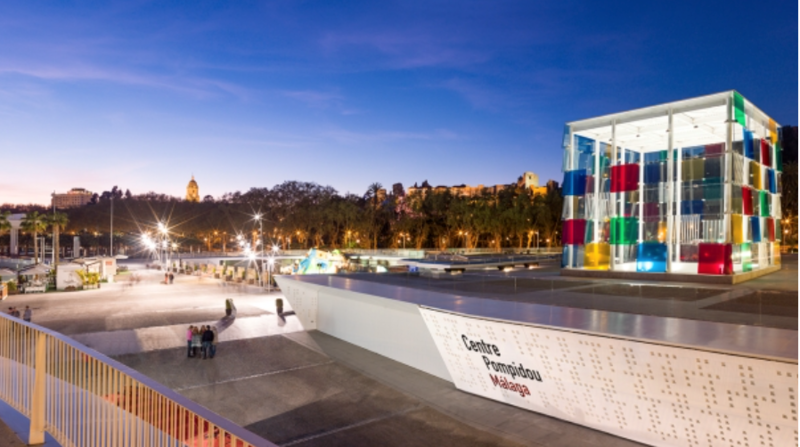 Malaga, birthplace of Picasso and an international tourist destination, positions culture and museums at the heart of a new stage in its development. The exhibition presented by the permanent collection of the Centre Pompidou Malaga is divided into five topics: las metamorfosis, el cuerpo en pedazos, el cuerpo político, autorretratos, el hombre sin rostro (the metamorphosis, the body in pieces, the political body, self-portraits and the man without a face). They extend in two directions. It is an emblematic building and a unique cultural model. The Carmen Thyssen Museum Málaga is the most comprehensive collection of 19th-century Andalusian paintings in Spain. 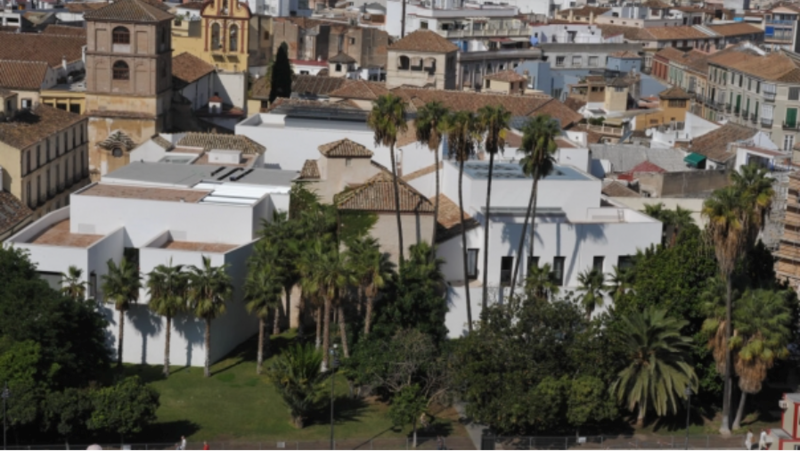 It is located in the Palacio de Villalón, a 16thcentury palatial building located in the heart of Málaga. The permanent collection consists of 230 works that brilliantly summarise 19thcentury Spanish art.